Each player may tap any number of untapped creatures he or she controls. Torrent of Lava deals X damage to each creature without flying not tapped this way. 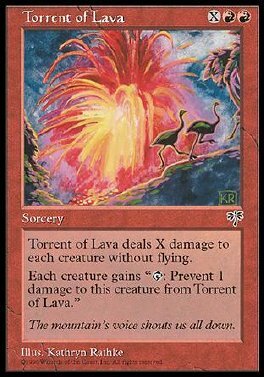 Torrent of Lava deals X-1 damage to each creature without flying tapped this way.